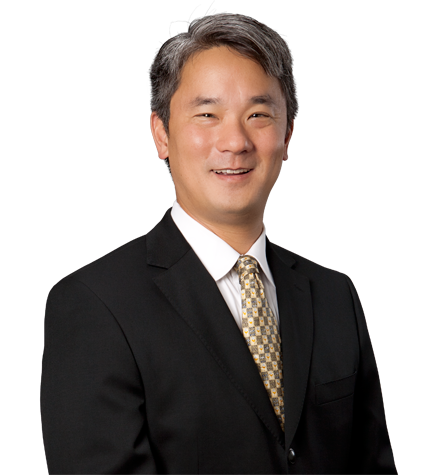 Samuel K. Lu represents clients in patent, trademark, trade secret and other intellectual property matters. Samuel has lectured on a number of patent issues, most recently on "The Markman Hearing: A Patent Holder's Perspective on Planning, Preparing, and Negotiating" and "The Fundamentals of Preliminary Injunctions, Permanent Injunctions, and Temporary Restraining Orders in Patent Cases." Nike Inc. v. Skechers U.S.A., Inc. (N.D. Cal.). Representing Skechers in a design patent infringement lawsuit involving athletic shoes. Converse Inc. v. Skechers U.S.A., Inc. (ITC, E.D.N.Y). Representing Skechers in a trademark infringement lawsuit and subsequent appeal involving Converse’s claimed trademark in the midsole design of its Chuck Taylor All Star sneakers. Following a trial at the U.S. International Trade Commission (ITC), Converse’s claimed trademark was found invalid. In addition, Skechers’s Twinkle Toes and BOBS sneakers were found not to infringe, even if Converse’s claimed trademark was valid. Lam Research Corp. v. Daniel L. Flamm (N.D. Cal.). Represented Lam in a patent infringement lawsuit involving semiconductor etch process technology. Also represented Lam in concurrent inter partes reviews involving the same patents. SoftView LLC v. Apple Inc. et al. (D.Del.). Represented SoftView against Apple and Android smart phone manufacturers in a litigation and in inter partes reviews involving patents relating to web browsers for mobile devices. Skyhook Wireless, Inc. v. Google, Inc. (Mass., D. Mass.). Represented Skyhook Wireless against Google in two separate lawsuits: a patent infringement lawsuit relating to Wi-Fi location technology and a state business torts case. Poris v. Novellus Systems, Inc. (N.D. Cal.). Represented Novellus in a patent infringement lawsuit involving semiconductor processing equipment for use in copper plating. Novellus was awarded a summary judgment of noninfringement. TiVo Inc. v. Microsoft Corp. (N.D. Cal., ITC). Represented TiVo in three lawsuits brought by Microsoft in district court and in the ITC relating to hardware and software for digital set top boxes. These lawsuits were brought after TiVo sued one of Microsoft's customers. Following a trial at the ITC, Microsoft agreed to dismiss all three lawsuits. TiVo Inc. v. AT&T Inc. (N.D. Cal, E.D. Tex.). Represented TiVo in two separate lawsuits, one brought by TiVo and one brought by AT&T, relating to digital video recording technology as well as hardware and software for digital set top boxes. NXP N.V. v. LSI Corp. (N.D. Cal.). Represented LSI in a set of patent litigations involving semiconductor manufacturing technology and circuit design. AmberWave Systems Corp. v. Intel Corp. (D. Del., E.D. Tex.). Represented AmberWave, a company founded by an MIT professor and his students, in a set of patent litigations relating to advanced semiconductor materials and manufacturing processes. Netcraft Corp. v. eBay Inc. and PayPal Inc. (W.D. Wis.). Represented eBay and PayPal in a patent infringement suit brought by Netcraft relating to a method of making online payments. eBay and PayPal were awarded a summary judgment of noninfringement, which was affirmed by the Federal Circuit. Knowles Electronics, LLC v. AAC Acoustic Technologies Holdings, Inc. (N.D. Ill.). Represented AAC, a Chinese manufacturer of MEMS-based microphones, in a trade secret litigation. After an 11-day hearing, the court found in AAC's favor, finding that the trade secrets alleged to have been misappropriated were neither trade secrets nor used by AAC. Avago Technologies, Inc. v. Microsoft Corp. (N.D. Cal.). Represented Avago against Microsoft in a case involving the misappropriation of trade secrets by a former Avago employee. Avago Technologies, Inc. v. PixArt Imaging, Inc. (N.D. Cal.). Represented Avago against PixArt in a patent infringement action relating to Avago's optical mouse sensor technology. Applied Materials v. Novellus Systems, Inc. (N.D. Cal.). Represented Novellus against Applied Materials in an action involving semiconductor manufacturing equipment. Applied Materials first sued Novellus for patent infringement after Novellus acquired the Thin Film Systems Division of Varian Associates. Novellus counterclaimed that Applied Materials infringed Novellus's patents. After extensive litigation, the only claims remaining to be tried were Novellus's patent infringement claims against Applied Materials, whereupon the case settled. Semitool, Inc. v. Novellus Systems, Inc. (N.D. Cal.). Represented Novellus against Semitool in an action alleging patent infringement by Novellus's copper plating semiconductor manufacturing equipment. The case was decided in favor of Novellus on summary judgment and twice affirmed by the Federal Circuit. Plantronics, Inc. v. Fashion Electronics, Inc., Datel Design and Development, Ltd., and ESI Cases and Accessories, Inc. (N.D. Cal.). Represented Plantronics in multiple actions in which Plantronics asserted design patent infringement, trade dress and unfair competition claims relating to defendants' sales of cell phone headsets.